Curious about the best baits for your mice problem in 2019? There are (unfortunately) no magic bullets when it comes to getting rid of mice. Rodent removal is a “process” and not an “event” you can then take steps to safely eliminate your furry little tenants. In this article, we're going to break dong some of the best mice baits and expert tips to help you eliminate your mouse problem. Which Mouse Bait Types Are There? What's The Best Type of Bait? Are Mice Baits Dangerous To Humans? Below are my top pics when it comes to mouse bait. I encourage you to read through the rest of the article so you know what to look for when buying bait for your mice problem. First, realize that when mice set residency in your home, they are not “visiting”, they are breeding and nesting in your walls, attics, or basements. If you see one, I assure you his brothers and sisters are not far away. 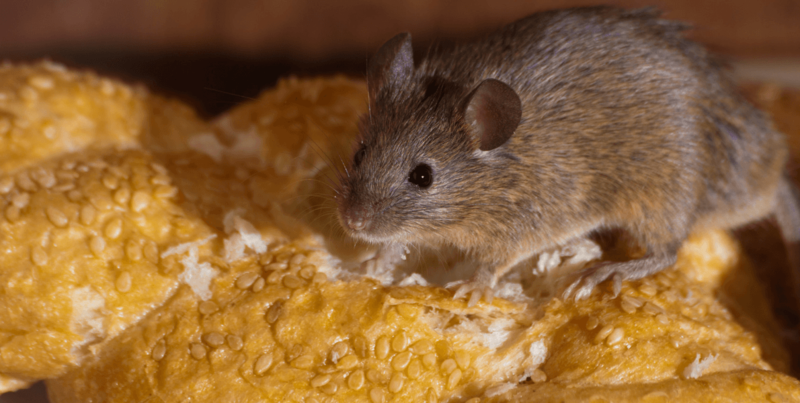 If you’re going to use mice bait in any pest elimination process, there are (3) three critical considerations that must be addressed if you expect any success. We call it the Pie Chart of Success when it comes to pest elimination, which is made up of cultural, mechanical, and abatement (or elimination) factors. If one part of the Pie Chart is not addressed, no amount of traps, chemicals, or mice baits poison will work. Don't believe us? 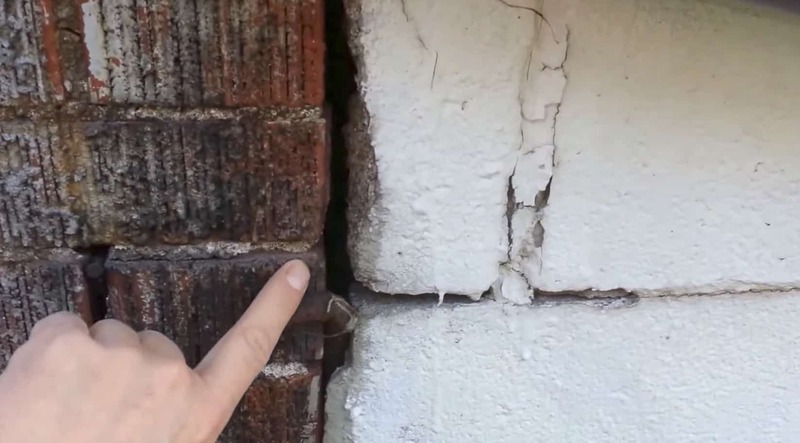 Checkout the below video showing you just how well mice are at squeezing through tight spaces! The cultural aspect refers to the environment within your home. Do you have bird feeders in the yard? Is there pet food that provides a constant food source for your mice? Is your trash remove regularly? Is your kitchen kept clean such as areas behind the stove and other applicances? Mice must have a food source, and often we attract these rodents to our homes through our personal cultural, and the way we live. If those cultural issues are not corrected, no amount of bait, or traps will solve your mouse problem. The second factor are “mechanical” issues. It is amazing to hear homeowners complain that they can't get rid of a mouse problems in their house. We often hear that that their mice bait is not working, yet when a full inspection of the home is complete, you find the structure has literally dozens of entry points where mice are constantly entering. Remember it takes very little space for a mouse to enter your home. Pipe, wire and hose chases with no caulking are open doorways. You'll need to address these points if you want to stand any chance of mouse removal success. The space between the garage door and the concrete when the rubber pad is old and damaged is a breezeway open to the outside. Once in the garage, mice they have complete access to the rest of your home. Many homeowners store bird seed, food, and pet supplies in the garage, which provides a great food source for any hungry mouse. Addressing the mechanical issues within your house the structure is essential, without this you will only harvest mice as the ones you kill or trap will be quickly replaced by the ones coming in. Ironically, abatement is the final piece of the pie. If the first two parts are not addressed, no abatement program will be successful. Your responsibility as a homeowner with a mouse problem or even a professional, is to find the safest, most efficient (yet cost effective) procedure to eliminate the mouse rodent problem. Only once you have addressed the cultural and mechanical aspects of a pest problem, then treatment options such as mice baits can be evaluated. Mice baits comes in a variety of sizes, shapes and textures. Each will have distinct advantage or disadvantage depending on climate you are expecting the bait to perform in. Soft Baits: Usually the most effective bait type perfect for most types of weather, although extreme cold or extreme heat could effect the bait's effectiveness. 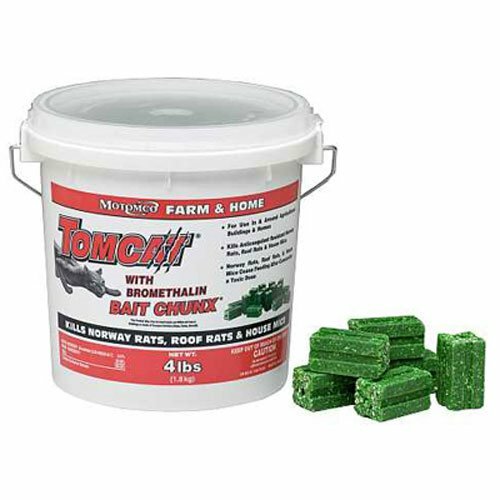 Pellet Baits: We don't recommended pellets as mice tend to nibble on these baits chew through the paper and the pellets are often displaced or fall out of the mice station exposing the toxic product to non-target animals or humans. Super Blocks: Used by professional exterminators, these are larger solid baits that can be placed and left for longer periods of time without bait depletion. Human Food Baits: For small infestations, peanut butter worse wonders mixed with a snap trap. The best products to eliminate or control mice or rat population are the newer single feeding baits. The new generation single feeding mice baits are primarily all anticoagulants. The term “single feeding” is slightly misleading as mice are nibblers and will usually require multiple feedings before they'll ingest enough poison to die. But overall, the best are the solid soft baits. You should stay away from the “place packs” that are designed to be placed without protective stations as they contain pellets can be dislodged or displaced leaving them out in the open, which could be accidentally eaten by a dog or cat. Final Blox, Contrac Blox, Victor Multi-kill Block and First Strike Soft packs are all great single feeding baits and all have listed antidotes on the label. When selecting a bait for your mouse problem, be sure to check if the label mentions the antidote. This is CRITICAL is you, your family, or your pets were to accidentally ingest the bait. Remember, mouse bait is poisonous and should be handled with care. In short, yes, mice baits ARE dangerous. Mice baiting is serious work. If you take this on as a homeowner realize that you are dealing with a toxic product that could kill or seriously harm you or your family. Never place the bait where humans or pets can get to it. Here a couple of bullets to remember when it comes to mice bait. The mouse bait, must always be in a tamper resistant bait station. Remember it is “tamper resistant” not tamper proof. Make sure the bait is secured properly so that it can't fall out of the station if its moved. With most baits there is a rod in the station, which is used to thread the bar through the bait (which has a hole in it usually). Make sure you use a mice bait with an antidote in case of an emergency (normally Vitamin K-1 is the antidote). Make sure you read the label of your product. If it does not have an antidote, DO NOT USE IT! Below I listed out some of my favorite baits when it comes to killing mice. 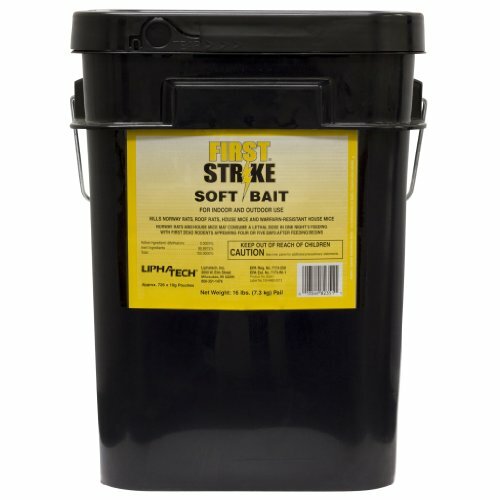 First Strike is a good soft bait product to eliminate your mouse problem. If you look online you might find this brand in the "bait packs", which I'm not a fan of. With the pack concept, always make sure the packs are secure in a bait station, and you never leave bait out in the open with no stations. 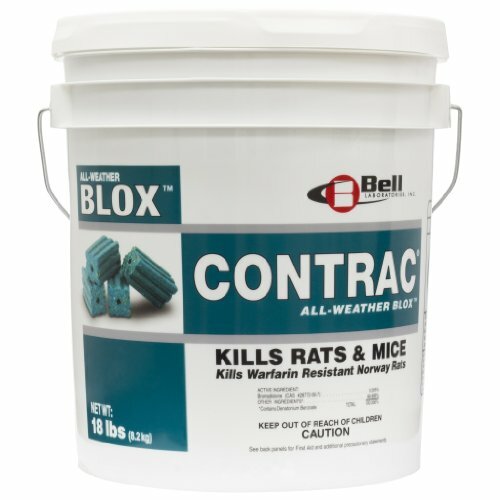 Contrac Blox is one of the most widely used mouse baits among professional pest control experts. It holds up well in most weather conditions, and it has a great​ "acceptance rate" amongst most rodents (mice and rats). For more information about the active ingredient, "Bromadiolne" in mice baits check out this article. 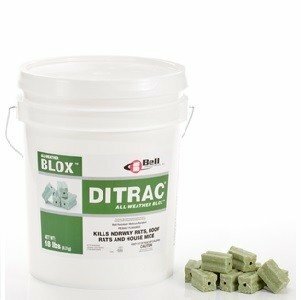 Ditrac is a multi-feeding bait meaning the mice needs to have multiple feedings to receive a lethal dose which tends to make it a bit safer. This is an all weather bait that works well in cold and warm weather. Although, this is a good product, it can be slower acting, which could be a slight negative for some people who want instant results. While the multi-feeding seems to be a plus on the safety side it tends to be a negative on the efficiency side. It has been called a good but “patient” product and most folksdealing with rodent problems are less than patient. MOTOMCO makes an effective mouse bait with results usually within 1-2 days. The bait itself smells like peanut butter, which is a strong attractant. This isn't an all weather bait so make sure to save it for attic or garage problems. Also be aware that this bait doesn't have an antidote, so it should NOT be used where it could be accidentally consumed by pets or children. Although this bait is effective, there's no antidote, so make sure to keep out of reach from pets and children. Mice baits are one of the best option to take care of your mouse problem. But (in our opinion) the best choice for normal infestations is Contrac Blox. It's durable, and works well on rat and mice infestations, and it has above average bait acceptance. Maybe a few pennies more for the purchase, but overall has the right formulation, antidote and knock out power. Will they die in your walls and smell horrible? But mice will die where they die. Don’t fall for the myth “they go outside and die”. Mice in the wild live about a year, if they are living in your home they are dying anyway in the walls and attics. If you've gone through this guide and want to go with a more non-lethal approach at first, we'd recommend our guide on ultrasonic pest repellers. They use high pitched frequencies to drive mice way instead of killing them. Buy a couple of those first and see if it helps with your rodent problem.